The announcement brings to head months of speculation regarding extension in service of Gen. Raheel Sharif. The proposition has been supported not only by the former President of Pakistan, Gen. (Retd.) Pervez Musharraf but also initially by the Pakistan Tehreek-e-Insaf (PTI).2 Subsequently, Gen. Raheel Sharif’s public statement has been hailed across the political divide by the PTI, JUI-F, JI and the PPP. However, members of the PMLN-led Government have chosen to remain tight-lipped on the development. Possible extension in the service of the COAS has always been a subject of intense interest and speculation in Pakistan. According to the Constitution,3 the President of Pakistan, upon the Prime Minister’s advice, appoints the COAS. The term of the COAS is three years, regardless of the age of superannuation. Given that Gen. Raheel Sharif took charge of the post on November 29, 2013, he is set to retire on November 28, 2016. It must be noted that there is no provision in the Pakistan Army Act, 1952 with regards to an extension in service. However, extensions have been granted to the army chiefs in the past. The most recent example is that of General Ashfaq Pervaiz Kayani who initially served as the COAS from November 29, 2007 to November 28, 2010 and was granted an extension of three years up to November 28, 2013 by the Government led by Prime Minister Syed Yusuf Raza Gilani. In fact, apart from Generals like Field Marshall Ayub Khan and Gen. Zia-ul-Haq (both of whom received three extensions each), Gen. Yahya Khan (one extension) and Gen. (Retd.) Pervez Musharraf (two extensions), all of who became Presidents after overthrowing elected Governments, and subsequently granted themselves extensions, the only COAS to receive an extension under a civilian elected setup was Gen. (Retd.) Ashfaq Pervez Kayani. PILDAT believes that there was apparently no need for Gen. Raheel Sharif to issue a public statement in this regard, especially a whole 10 months before his tenure is to end. Although, various rationales have been speculated in the national media for it, including ‘Gen. Raheel Sharif snubbing the sycophants’,4 it is believed that serious and sensitive issues such as the service of the Military commanders should be discussed and debated within the provided official channels and forums rather than in the media. Prime Minister’s Advisor on Foreign Affairs, Mr. Sartaj Aziz expressed ignorance in Pakistan Senate on December 29, 2015 with regards to the COAS’ visit to Kabul on December 27, 2015. Chairman Senate, Senator Raza Rabbani’s consternation in this regard was well recorded when Mr. Sartaj Aziz stated that the ISPR had already issued a Press Release and that the Federal Minister of Defence, Khawaja Muhammad Asif, MNA, could provide further information. The Chairman Senate went on to say that ‘If the foreign ministry has abdicated the talks with Kabul to the Ministry of Defence, then I will talk to the defence minister’. As is the norm, it is hoped that the meeting was also attended by Pakistan’s Ambassador to Afghanistan, Syed Abrar Hussain; the ISPR Press Release, however is silent about it. PILDAT welcomes the increasing coordination between Pakistan and Afghanistan on matters related to security. Perhaps, it is fruit of the very same efforts, when the Director of the Afghan National Directorate of Security (NDS), Mr. Masoud Andarabi visited Islamabad of February 04, 2016 to meet with DG ISI, Lt. Gen. Rizwan Akhtar. Although Mr. Sartaj Aziz passed on the responsibility to the Defence Minister, the latter also sought time for input from his Ministry. Since the question was about the visit of the Army Chief and not that of a Foreign Ministry official, we feel that Mr. Sartaj Aziz did the right thing to refer the matter to the Ministry of Defence clearly indicating that the COAS was not on a visit directly connected with the country’s foreign policy. The Prime Minister, instead of bringing these matters for wider consultation, has chosen to carry out one-on-one interactions with the COAS. Therefore, in a disturbing trend, for the 73 times the Prime Minister and the COAS have met since Gen. Raheel Sharif took charge of the post of COAS on November 29, 2013, only four meetings of the NSC have been held. Additionally, the Federal Minister for Defence, Khawaja Muhammad Asif, MNA, was only present in 24 (27%) of these meetings. Pakistan faced a host of national security challenges during the month of January 2016. This includes a total 61 casualties due to terrorism related incidents, including the attack on the Bacha Khan University in Charsadda on January 20, 2016. Additionally, the month also saw the Prime Minister, accompanied by the COAS, undertaking a mediatory diplomatic trip to address the growing rift between Saudi Arabia and Iran on January 18-19, 2016. However, the National Security Committee, ‘the principal decision-making body on national security’, was nowhere to be seen during all of this. It remains regretful that the NSC, which was created by the current PML-N led Government itself, and has a wide-ranging membership, has not met since October 10, 2014. PILDAT believes that the near-dormancy of the NSC may be symbolic of particularly the Prime Minister’s style of governance, which apparently remains averse to institutionalization. 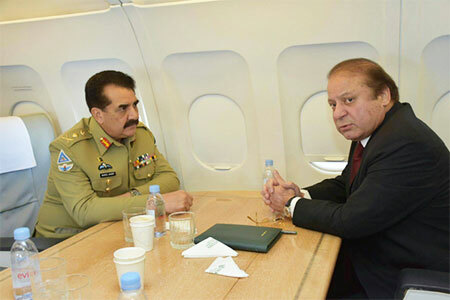 The Premier has clearly shown a penchant for one-on-one interactions with the COAS, rather than activating NSC. A greater cause of concern is the fact that on numerous occasions, the Prime Minister has chaired consultative meetings with the membership of the NSC present, but the meeting has not been labeled as such. Apparently, there is a deliberate aversion to holding consultations under the umbrella of the forum. Apart from introducing regular periodicity of meetings for the National Security Committee, the current Government also needs to consider the permanent membership of the CJCSC and the three Services Chiefs, along with the decision-making role of the NSC, in opposition to a consultative one, to streamline it according to the needs to of national security management and the Constitutional dictates.